You may think of Amazon as a retailer, the place you go to buy random stuff: books, films, furniture, and so on. You may also think of Amazon as a provider of online streaming services for music, TV shows, films, and podcasts. What you may not know, however, is that Amazon can also be thoughts of as a backbone to most of the up and coming companies that exist on the Internet. Through Amazon Web Services, abbreviated to AWS, the company is offering the tools—hosting, for example—that small startups need for cheap rates. Ben Thompson, an independent analyst for Stratechery, has described this as the “Amazon Tax,” whereby the company has become so synonymous with offers, online platforms and services used by developers that it is near impossible to get away from it. According to regulatory filings, AWS made around $3 billion in revenue last year, of which $600 million was profit. Analysts speculate that, over the coming years, AWS could produce $10 billion in revenue with alarming regularity. For a company that has traditionally shied away from profits in pursuit of growth, Amazon has suddenly started recording record profits and that is, in large part, down to the sheer amount of cash AWS is throwing off. 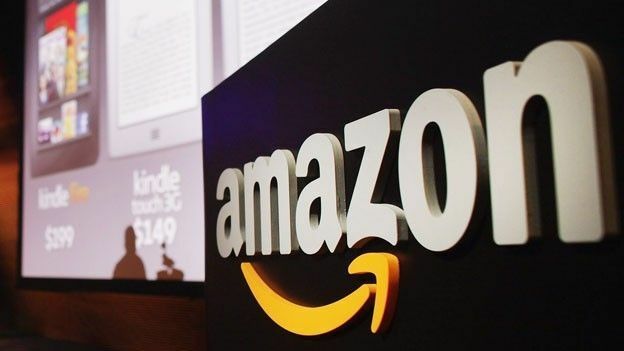 From this starting point—a widely successful service used synonymously which generates huge amounts of spendable cash—it's easy to see why the future of Amazon is so bright. Its retail business, for example, has traditionally made next to no money because, to be competitive, Amazon has to take a financial hit on all orders, especially shipping. Now, with the rise of AWS, Amazon can continue to do so but less precariously. Services like Prime, which has used by around 54 percent of all US households, are also gems for Amazon. According to internal company data, users who are signed up to Prime spend around double their non-Prime counterparts. And, as Prime becomes more expansive, this is only set to grow. The services bundled with Prime, for example, are attractive. The company has begun spending vigorously on TV shows, including The Grand Tour, which features the three ex-Top Gear presenters and is a sure-fire hit. The Kindle, which is getting updates more and more frequently, could ultimately replace the book as Amazon chips away at what is annoying about owning a book. The newer versions are expensive, beautiful machines that can pack an entire library yet be held comfortably in one hand all day long. Jeff Bezos, the founder and CEO of Amazon, is most likely one of the few inspired entrepreneurs to see his vision through to its ultimate conclusion. What that conclusion is, however, remains a mystery. Just a few years ago, the technology community was sceptical of Amazon, dismissing it as just a retail business that made little money. Now, however, it is viewed with wonder as all of its businesses take off simultaneously. Questions do linger around each product line, of course. Microsoft, a stalwart of the industry, has been a continuous thorn in the side of AWS and that doesn't look set to change. The company also doesn't have the kind leverage to sell a phone successful, evidenced by the failure of its Fire Phone. But recent developments, such as the success of Echo, a portable speaker-slash-voice-assistant, shows the company can do hardware when it wants. As the Internet's disruptive wave continues to ruin, dismantle, and create whole industries left, right, and centre, Amazon seems perfectly happy riding the wave to its conclusion and that is why Amazon's future looks so bright.